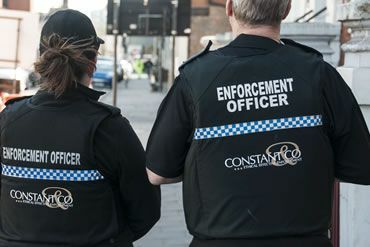 A High Court Enforcement Officer is an officer of the High Court of England and Wales responsible for enforcing judgements of the High Court, often by seizing goods or repossessing property. Did you know that High Court Enforcement Officers used to be known as High Court Sheriffs and Sheriff Officers? UK Debt Collect Ltd will assign HCEOs to seize and sell goods to cover the amount of a debt owed. They can also enforce and supervise the possession of property and the return of goods. A Writ of Control is issued by the High Court on behalf of creditors to recover the money they're owed. A Writ of Control allows High Court Enforcement Officers (Bailiffs) to seize and then sell the debtor's goods. What Goods Can a Bailiff Take? The High Court Enforcement Officer can only take goods that belong to the debtor. Where the ownership of goods is disputed and a 3rd party claim made, the Claimant may dispute the claim. In these cases the claim will be dealt with under the CPR 85.4 Making a claim to controlled goods to establish whether the 3rd party claim is valid. What Can't a Bailiff Take? a HCEO cannot take items which are exempt goods, which include those items which are necessary to satisfy the basic needs of the debtor or their family (white goods, beds, childrens belongings) or any goods that constitute ‘tools of the trade’ which are for the personal use of the Defendant in their trade or profession that have a maximum of up to £1,350), e.g. Tools, books, vehicles and other items of equipment. They also cannot remove items which are leased, rented or on hire purchase agreements or goods which may have already been taken into control by another type of enforcement agent. Can a HCEO Force Entry? High Court Enforcement Officers can only enter the Defendant's home if they are permitted entry by the person home. If there is nobody there, the High Court Enforcement Officer can enter if a door is left unlocked that is already open. High Court Enforcement Officers may be able to break into business premises if there is no living accommodation attached and they have reason to believe the debtor's goods are inside. What if a Debtor Makes an Offer to Pay? It is likely for a debtor to claim that they cannot settle in full; however, the writ of control directs the HCEO to enforce the writ by taking control and remove sale. The High Court Enforcement Officer will generally forward proposals received for instructions and it is for the claimant to accept or reject any requests for time to pay as no obligation exists, unless the request is clearly unreasonable. We can process this for you! UK Debt Collect will assign the High Court Enforcement Officer named in the Writ, who will begin work on your behalf. You should ask the High Court Enforcement Officer you have instructed on how long they intend to take to attend the address and report back to you. High Court Enforcement Officers are responsible for the enforcement of the Writs of Execution issued out of the High Court. The most popular of which being the “Writ of Control” formerly known as “Writ of Fieri Facias” or “Writ of Fi Fa”. This is a writ issued for the recovery of money owed and provides for the seizure and sale of the judgment debtor’s goods. How Much Can a Writ be issued for?